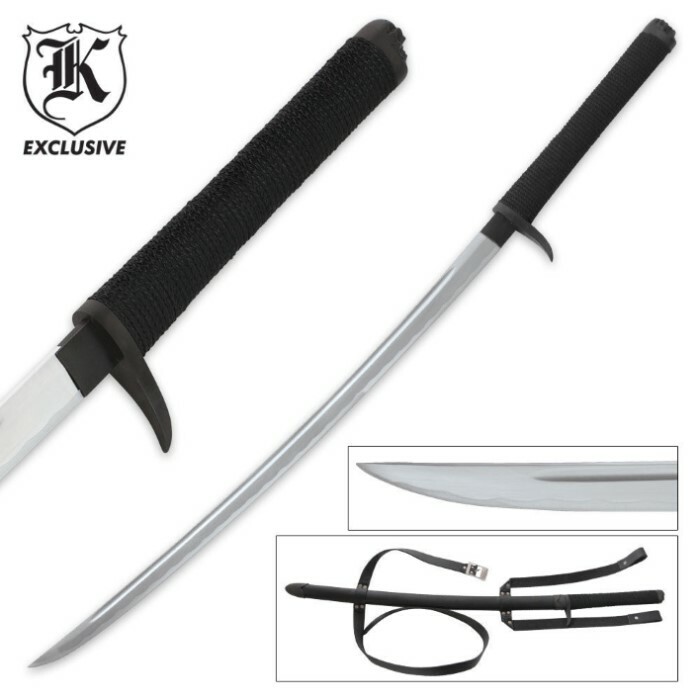 Death Talon Ryu Ninja Katana Sword | BUDK.com - Knives & Swords At The Lowest Prices! The Death Talon Katana Sword is one wicked Ninja-fighting machine! 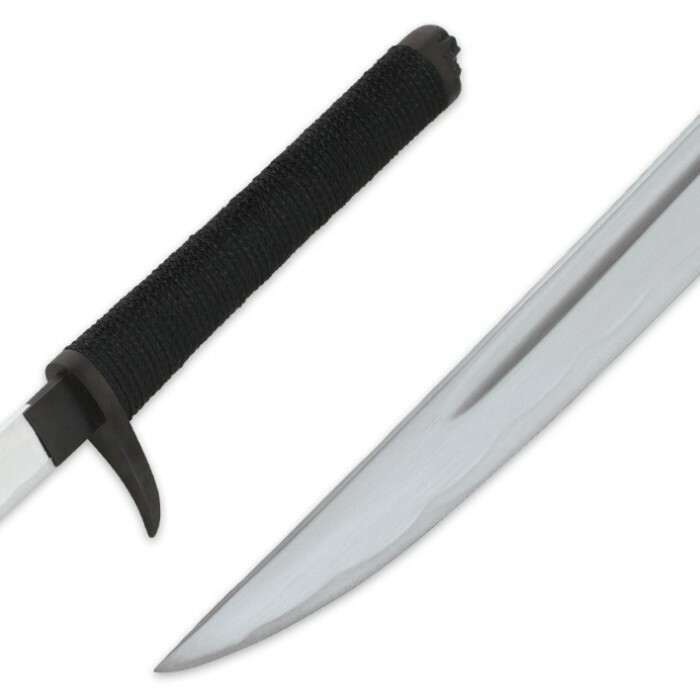 Featuring a sharpened, full-tang, high carbon steel blade with a blood groove, this sword is designed to deliver devastating blows. The talon shaped tsuba is attached to the hardwood handle, which is wrapped with black cord and offers bamboo peg construction. 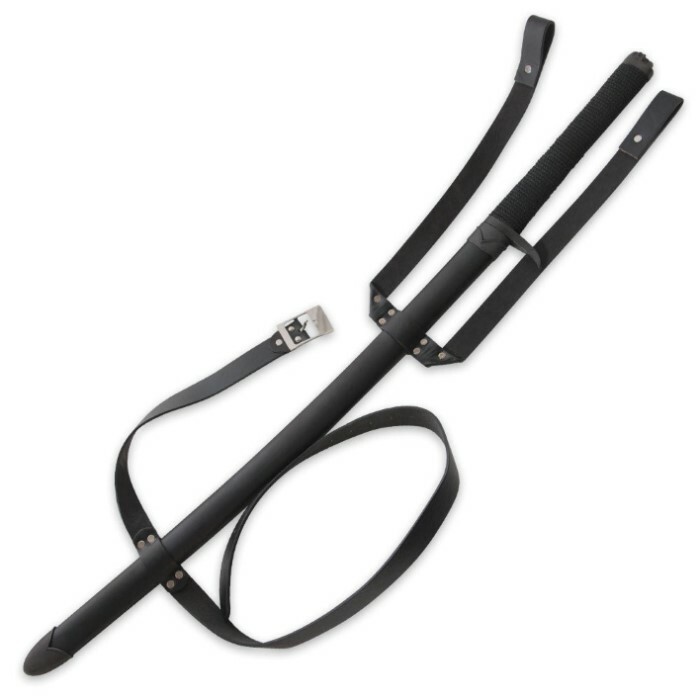 Includes a high quality double strap system for a quick and easy tactical carry. Worth the price with minor issues. Best deal . Ever . One of the best I own !!!!! !